Shop R-K Electronics Products Here! 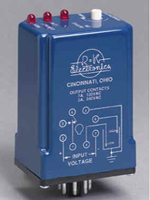 R-K Electronics designs and manufactures electrical automation control components. R-K provides a variety of standard products that have many applications as well as custom products. The custom products are typically designed for use in customer's equipment and machinery control systems. 1. Switch lead and lag after each cycle. 2. Distribute running time between two pump/compressor systems. 3. Will avoid pulse starts at the beginning of a cycle. 1. One switch to provide alternate operation. 2. Energize on one stroke, but not on the next stroke. 3. Resets to default position on power up. 2. The motor bearings lock up. 3. If the system is full. 1. The belt from the motor to the conveyor breaks. 2. There is no load on the pump. 3. A heater or lamp in a group has burned out. 1. The starter is closed, but the three phase breaker is open. 3. Heater or lamp failure. CSRA - Over & under current, Adj. ZVM - Zero speed switch, 600VAC max. PVR/L - The PVR/L is now obsolete and has been replaced with the PVT series. In hazardous probe or switch level sensing applications where a spark could ignite an explosion, intrinsically safe relays will limit the energy allowed to the switch or probe to avoid sparking. 2. Petro-chemical - Operational switches, push buttons, limit switches, etc. 4. 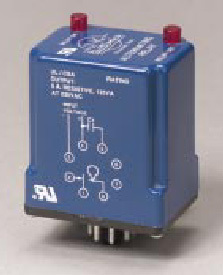 Process - Foot switches in painting areas, limit switches, pushbuttons, etc. 5. Grain processing - Limit switches, pushbuttons, etc. This series of R-K liquid level and conductivity sensing controls are typically used in pumping applications for fresh and waste water. They will accept float switch inputs (contact closures), but are also capable of sensing conductivity. Because of the conductivity sensing, they can be used with probes to sense levels in conductive liquids. The probe sensitivity range can go up to 100,000 Ohms, adjustable. This allows these products to also be used in seal leak detection for motors. 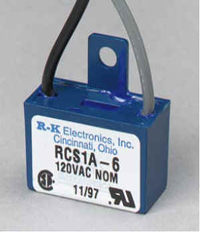 The BAMI relays are low cost, high quality relays for the automation control industry. They can come with double pole double throw (DPDT) up to four pole double throw (4PDT). Coil voltage can be AC or DC and contact rating vary between 3 amps up to 10 amps. They can be used to energize loads such as solenoids and started coils. They can also be used to isolate controller output from the industrial environment or simply provide logic functions. 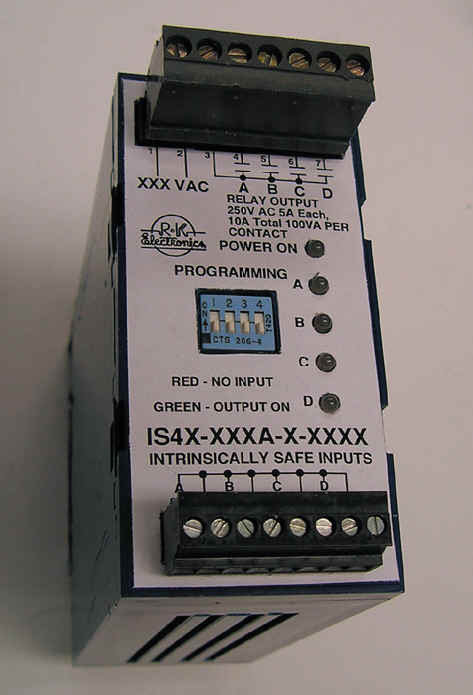 The Idec relays are high quality relays for the automation control industry. They can come with single pole double throw (SPDT) up to four pole double throw (4PDT). Coil voltage can be AC or DC and contact rating vary between 3 amps up to 10 amps. The BAMI sockets are low cost, high quality sockets designed to be used with BAMI relays or many other relays from other manufacturers. They provide for easy installation with Din rail mounting and pressure plates for ease and secure wiring. The Idec sockets are high quality sockets designed to be used with Idec relays or many other relays from other manufacturers. They provide for easy installation with Din rail mounting and pressure plates for ease and secure wiring. Time delays are used when there has to be some time sequence between the operation of relays or loads (solenoids, starters, etc.). There are many functions available. Each function provides the time delay in different ways as to when they start timing and when the outputs are energized to allow the equipment to operate properly. Transient voltage filters are used to suppress the electrical voltage transients that can damage or effect the operation of solid state controls. There are choices of R-C networks (resistor-capacitor) for AC loads, R-D Networks (diode-resistor) for DC loads and voltage clampling units (varistors) for analog control circuits and other loads. The AC and DC filters are all available with varistors in parallel with the R-C networks or R-D networks. Transient voltage filters are typically applied in parallel with the coil of the inductive load. many time the inductive load causing the problem can not be specifically identified, so filters are applied across all of the inductive loads in the control circuit. RCD - 3Ø suppressor, 480VAC max. RCM - 1Ø & 3Ø suppressor, 240VAC max. RCS - 1Ø suppressor, 240VAC max. RCS5 - 1Ø suppressor, 480VAC max. RCY - 3Ø suppressor, 600VAC max. RDS - DC suppressor, 500VDC max. TFD - 3Ø suppressor, 275VAC max. TFY - 3Ø suppressor, 600VAC max. The ATB is used in conjunction with two initiate (start) push buttons. 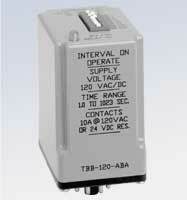 By operating both push buttons at the same time, the output contacts of teh ATB will energize. There is a time delay built into the ATB that requires the two push buttons to both be operated within 0.3 seconds of each other to activate the ATB's contacts. If one push button is released, the circuit resets. This requires that both push buttons be released and the sequence started over. Single phase voltage relays are used in applications where the equipment or controls being operated could operate incorrectly or be damaged by low voltage. These applications usually involve combinations of electro-mechanical and solid state controls. As the control voltage drops, some of the solid state equipment may not continue to work correctly, but a contactor or solenoid valve may continue to stay energized. This could be an "out of control" situation. When the voltage goes below a level that is determined to be too low for the controls, the single phase voltage relay will sense that and open a set of contacts. That could shutdown the entire control circuit to avoid problems. Three phase voltage relays are used in applications typically involving three phase motors. The purpose of the three phase voltage relays is to avoid damage to a motor because of a line voltage problem. The three phase relays monitor the line voltage for problem conditions which can include: Over voltage, Under voltage, Phase loss (Single Phasing), Phase Rotation and Phase Imbalance. If any of these conditions occur, the three phase relays can be wired into the control circuit to disconnect the motor from the line voltage via a starter or contactor or turn on an alarm. 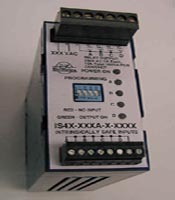 Some units are plug-in, some surface mounted and some are din rail mounted. MRT - Motor rotation tester, 600VAC max. PRS - Surface, Ø reversal, 600VAC max. 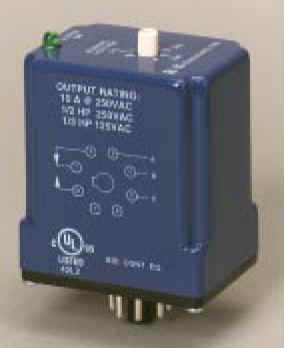 Millivolt sensing can be necessary in control or process circuits that operate a very low voltage or low current levels. These products can go from 30 millivolts up to 100volts. Operation is usually that when the voltage goes lower than the set point, the relay output contacts will de-energize. If the voltage is higher than the set point the output relay is energized. R-K manufacturers two types of speed switches. The CLR uses a proximity switch input and compares the signal to a frequency level. This technique can determine a slow-down or stopped condition. The LVM, ZVR, and ZVMs monitor the voltage feedback from a motor while it is coasting to a stopped condition. As the motor spins down, it acts like a poor generator, but generates enough signal for the LVM, ZVR, and ZVMs. When the motor comes to a stopped or very near stopped condition, a relay output is operated. ZVR/S - Din, Zero speed, 600VAC max.